Industry 4.0 is a new paradigm in industrial production that integrates computers and automation in revolutionary ways, making use of the Internet of Things to enable manufacturing processes that are at once more efficient, accurate and adaptable to changing environments. METALTECH is embracing this paradigm together with the exhibitors from the machine tool, industrial automation, and metalworking technology industries. Exhibitions are about meeting and building connections with decision makers and potential collaborators from around the world. 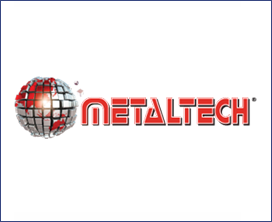 METALTECH aims to enable all exhibitors to conduct business with existing and new leads under one roof. The previous edition of METALTECH attracted 15,651 trade visitors from 46 countries and regions, who had all the opportunities to partake in business activities with all the exhibitors across 35,000 sq.m of exhibition space.